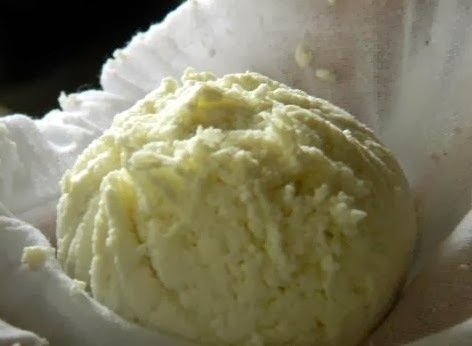 Rasgulla is a popular sweet of Bengal and Orissa. This sweet is used in almost every occasion of Bengal and Orrissa. 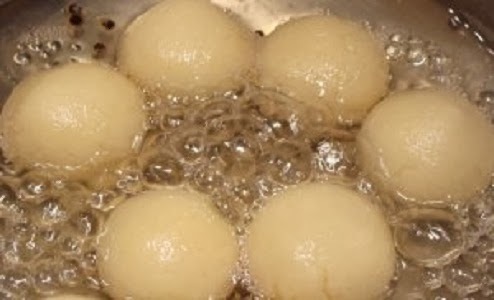 Literally the word Rasogolla comprises of two words, Ras=sugar syrup and Golla=small balls; and Rasogolla is made with cottage cheese balls, immersed in dense sugar syrup. 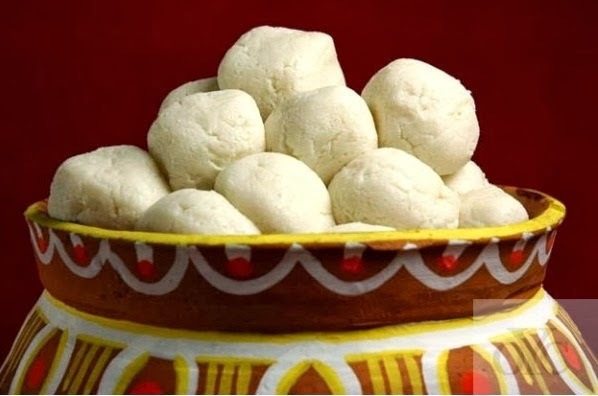 Rasogolla are extremely sweet and also my one of favorite sweets. Calcium Lactate Powder: 1 teasp. Heat 1-liter milk in a pan. Once it starts to boil, pour in the lime juice or Calcium Lactate Powder and stir gently. The milk will curdle and clear whey will separate. Strain the chana or cottage paneer in a muslin cloth. Wash under cold running water to get rid of the lemony smell and then hang it for ½ an hour. On straining this milk through a neat cotton cloth, the curd that is obtained is called "chenna". Knead chenna to make smooth dough. Add flour and knead again. Make small balls of equal size of the dough and keep aside. Mix sugar and water in a saucepan and boil for 2 min. Add chenna balls to the syrup and cook for 15 minutes with lid partially covered. You can add rose essence or cardamom powder for flavor. *You can eat it hot; it is delicious and very good for curing all kinds of dysentery. Avoid cooking sour dishes (like tamarind based dishes) in a non-stick pan; because, the sourness will remove coating faster. When you cook in a handi, place a tawa (griddle) underneath to avoid dishes from burning. ummmmmmmm. yummmmmmmy ymmmy. recipe. Perfect for this festive season. Thank you Shaista.....enjoy the Holi! wooooooooooow,thaxs i will surely try. i use to miss flour in my recipe of Rasgulla and the 15minutes after rasgulla is put in sugar syrup,gas is remain on? Thanks Gurjeet, try it for Holi....and no, after 15 mins you should take the gas off.